© DenLorsTools.com Summary: P0171 is a lean code which can indicate a vacuum leak especially if we are talking about a Ford. 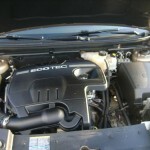 However, GM cars including Chevrolet, Pontiac, Oldsmobile, Saturn and others are not prone to having vacuum leaks. 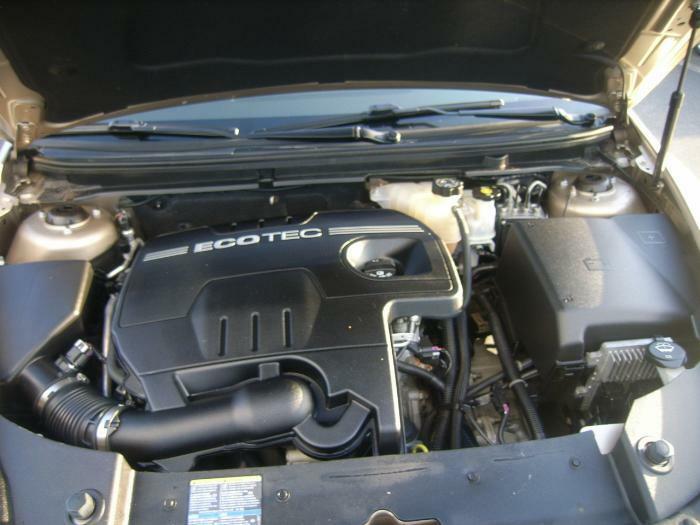 Questions regarding a lean code and poor gas mileage on a Pontiac Sunfire ( which is similar to a Chevrolet Cavalier) prompted this repair article. In this repair article we give advice on what to look for and how to properly check MPG (Miles Per Gallon). I have a 1997 Pontiac Sunfire with 134k mileage. Since I bought it about three weeks ago, its check engine has been on. Had it checked at Auto Zone and it kicked out P0171 code. Aside for the check engine light. It sometimes hesitates at stop lights, and burns through fuel pretty fast. My parents live maybe 3 miles away and when I drive to their house the fuel needle literally drops almost half a mark. I plan on checking the vacuum hoses and some other things this weekend, but do you have any thoughts other than that? Thanks in advance, you seem very knowledgeable. Eric, no common vacuum leaks come to mind on the type of car you have. It wouldn’t hurt to look for obvious vacuum leaks though. I would also make sure the MAF (Mass Air Flow) and air filter are clean. Look for air leaks between the MAF and the throttle body. This could be allowing un-metered air into the engine causing the code. I would also clean the throttle plates for the poor idle problem to see if that helps. 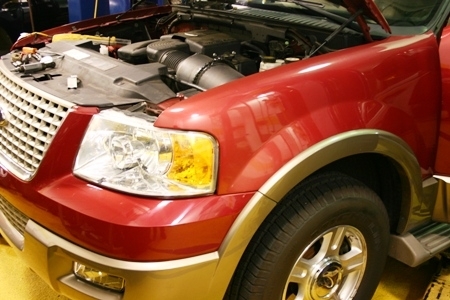 There are other potential causes of lean codes, like exhaust leaks, the fuel pump could be going out or the injectors could be getting clogged. A fuel pressure test would be the next logical step if problems persist. 1. 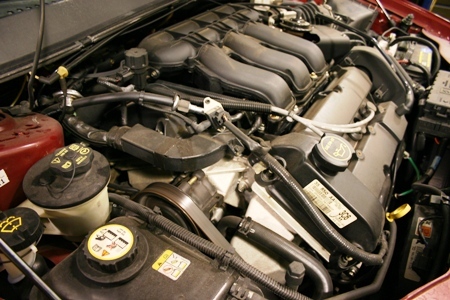 Aftermarket air filters like K&N if over-oiled may cause damage to the MAF. The oil can contaminate the sensing wire altering its reading. 2. Exhaust leaks, even very small ones can cause lean codes. 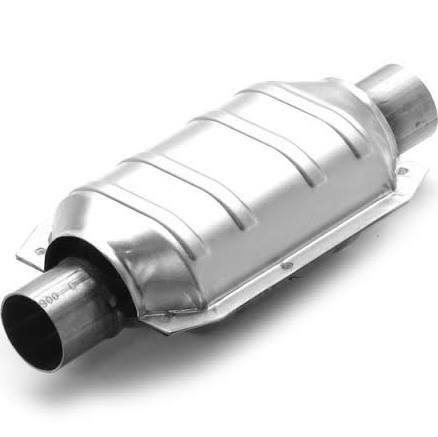 Outside air can get drawn in making the sensors pick up more oxygen content than what the exhaust actually has. I’ve found very small leaks at exhaust flanges before that have caused a false lean code. 3. Rubber or plastic intake boots that are between the MAF and the throttle body on the engine can have small cracks or tears. Worn motor mounts can sometimes accelerate the wear on these boots. 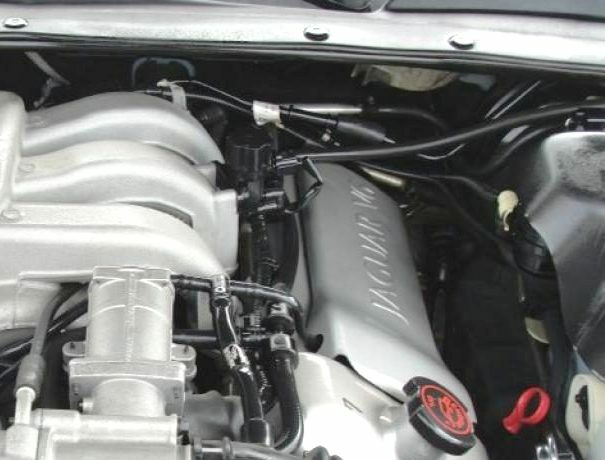 Hesitation upon take off from a stop may indicate the motor moving excessively due to a worn motor mount, increasing the gap in a torn air intake boot while accelerating. 4. 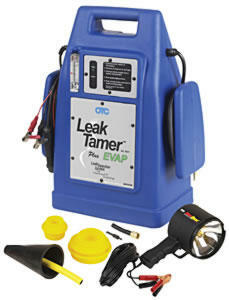 Listening for vacuum leaks is a good initial step that sometimes takes you right to the source of the leak. Just be aware that power steering pumps usually sound just like a vacuum leak, don’t be fooled. Continued on Page 2.